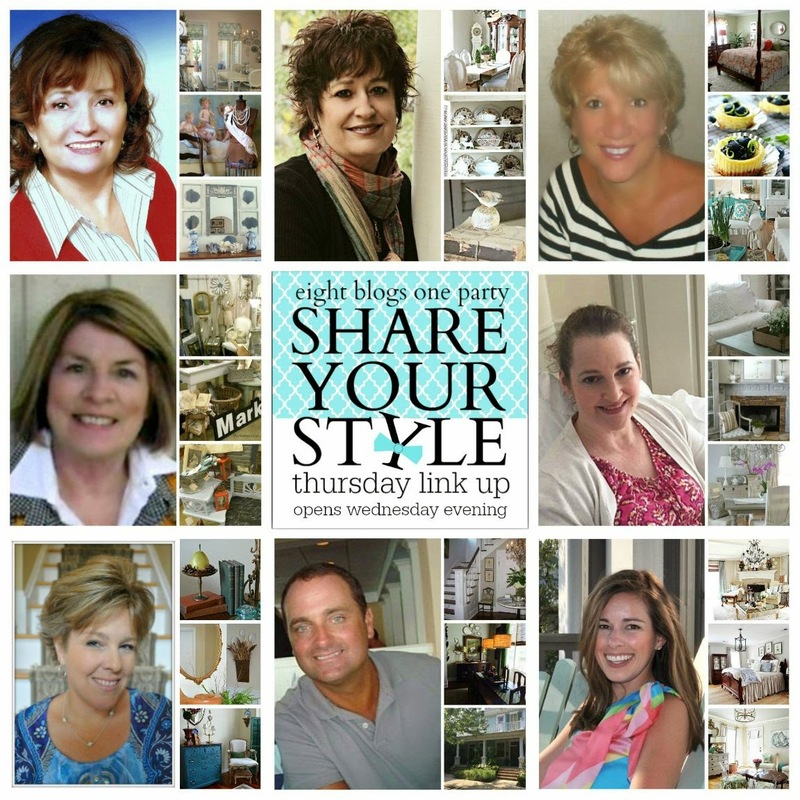 We are very excited to be hosting the very first Share Your Style link party. This party has been a couple of months in the making and it is wonderful to finally see the ideas come to fruition. For maximum exposure add your link to one blog and it will show up on all Eight blogs. Click on any host below to add your link to all eight blogs. Thanks for dropping by and I hope you enjoy the party. Hi, I am Lynn from The Vintage Nest blog. Welcome to all my friends and subscribers and all newcomers. I would love to share with you just a little about "My Style". I love vintage, always have. Went to my first auction when I was 20 and have been going ever since. I lean towards more of the cottage, farmhouse, and French inspired. Subdued in palette, with tons of aged patina. My home decor is achieved with just pure instinct, without any regard to the latest trends or fashions and guided by my heart. Lynn, Thanks for hosting with me and you know I love your style! I miss our junkin trips even when we both wanted the same items. Congratulations on your first party! Great idea..thrilled to be showing a blue and white beach cottage that I've been working on.